So many people, so many views, I simply enjoyed browsing through them. There were lots more but my guests were arriving like in 3 minutes so I reluctantly closed the window but not before saving the links. U know me, always considerate;-D. So if you are interested, you can check them out here, here and here. Now you tell me, what does Blogging mean to You??????????? First ?????? WOW !!!! Yippeee !!!! My blog is me - what I want to share and express, is there in my blog. And I absolutely agree that its a great conversation with the many readers. Actually, thats the best part. My Blog is a reflection of the state of affairs going on in the continent I call my mind, where the charter is rooted on freedom and based on self love and issues/people I hold close to my heart! UmaS: Hehe Kevin Anderson's quote is pataka stuff eh. But yeah I totally get what u mean;-D.
But u r absolutely right about 1 thing...I am a dedicated blogger;-D!!! Nu: Ok, ok this time I'll let u off;-D.
Glad u like the quotes!!! "....wherein I can write what I want to and the way I want to"
Sagarika: Goodness I think I have to start Maths classes on my blog now. Dear girl count once again....u r 8th, not 3rd;-D.
I read very interestedly what u had to say...u knw I myself often thought how wonderful this medium is for people who dont talk too much in person. The mind churns out so much of complex thoughts that letting them out is a relief. Previously we wrote in a diary but that was only a 1 sided affair but with blogging & reaching without fear of pre-conceived notions there is a lot of possibilities:-). You actually did the google search ? ROFL. and closed browsing window 3 mins before the guests are arriving ? Gulp. You are an inspiration. and tell more about the party pliss. As I am pathetic in everything that deals with numbers...I can proudly say I am FIRST!! Am I glad for the existence of people like Brian Clark who said “Don’t focus on having a great blog....." now you know why I concentrate on comments rather than nurturing my blog with nonsensical posts? Me likes Cameron Diaz's sister Alister Cameron's quote. It's all about making friends and holding out wireless hands in joy and sadness. You google even for How to clean house that too in 15 minutes? The 3 Google boys might hunt you down to kiss your hands for making them so phamous!!! Kevin Anderson! He got it right! NU has said what I wanted to say:)..to me blogging means writing what I feel..if I get some people to read it it is a bonus. hmmmm...for me it is a means of expression :) plain n simple!!! Totally disagree with Xiao Qiang. To me, blogging is what I do to consume my daily required dose of networking. Just to meet up with fellow bloggers (who are more like friends now), pull each others legs, have a crack on something, sympathize (if need be), and/or in some cases, just mark my presence! And ofcourse to keep a record of my life. And what's happening in it. Mostly good. I normally don't blog about negatives in my life. Not one to crib. I'll try and deal with it. But if something good happens, I just have to put it up. Your guests? Are you talking about those five ladies? I loved “The more popular a person thinks he is in the blogosphere, the thinner his skin and the thicker his hypocrisy. This should be exactly the opposite: the higher you go the thicker the skin and thinner the hypocrisy.” the best ..
great group of quotes! I'm still trying to figure out what blogging means to me :)...however, one thing I do know...I love blogs and blogging because it has opened doors to meet wonderful people like YOU!!!! Wow... So many different views... And that is exactly what blogging is abt. So many different perspectives. It is just as much about online relationships, as it is about writing. Bloggers are people first and writers second, for the most part. Your blog is your unedited version of yourself <<< This one is SO true! My favorite quote is from one of your commenters who thinks I am female, and Cameron Diaz's sister!! Thanks for including me in such an auspicious list, and putting me in the title too!! I loved the Kevin Anderson quote the best. He is absolutely right, you just can't fake it! Wow., Love ur space and the way you write..Interesting views about blogging..and they are all so true..Did try to read a few of ur posts and they were so much fun..specially ur Easter vacation one and the previous one abt ur phooti kismet..lol.Will be back as I can see I'm getting hooked already.. For me - Blogging is very therapeutic and I can speak my mind out !!! Nancyyyyyyyyyyyyy good lord where are you when I need ya? Should I use google to search you? I hope you will be my witness and make sure that Mr. Allister gets to know about my Mental state :(. Please tell him not to take my comments seriously just the way you all do. Goodness the cheek of WP...posted my comment twice haan? Off to Mr. Allister's place to plead Guilty. What is blogging for me??? Well I have been blogging for more than 5yrs now...blogging to me started off more like communicating with my distant cousins/friends (who are my main readers) sharing my life, my thoughts, my views and few laughs. Although I started off in 2005 intending to vent my spleens through it...now it has become one of the few things I am passionate about. I guess for me its a means of expression without getting to personal. Btw, I think Lorelle Van Fosen's quote best describes your blog!! :-)How would you ..erm..describe mine? (just out of curiosity)!! Blogging is also about finding sweet and witty souls like you. "...bloggers are boring, self obsessed narcissists who use their website mainly as a means to discuss the inconsequential minutiae of their day to day lives." Smitha: U cdn't have worded it better....u r sooo right, its totally amazing:-)!!!! Renu: Even without u saying it I'd know:-). Good to see u back!!!! Jira: "I blog because I can :)"
Alister Cameron: LOL Crackedchronicles always had a vivid imagination;-D.
Glad u liked my posts & feel free to visit me whenever u like;-D!!!!! Crackedchronicles: LOL dont worry I explained in detail to Mr. Cameron ur 'strange' ways. He'll surely understand;-D!!!! Sadiya: Wow 5 yrs is long time; I have been blogging just 2+yrs and feel I've been at it for ever;-P. As years pass I all the more admire & appreciate people who have been constant coz its easy to lose interest after sometime:-). Lostworld: Awww....!!!! Really!!!! I loved the comparision;-D!!!! Soli: Thanks....for both the wishes and the compliment;-D!!!! Blogging for me is an online social interaction...a party that never ends!! I keep meeting new people, I make new friends, I jest, I listen to others' viewpoints, I debate, I grow! What an interesting post! !I love reading posts, quotes and opinions related to blogging!! “I read blogs every day, for all sorts of reasons, but I turn to blogs especially when I want to hear alternative viewpoints ...” ~ Jim Buckmaster. Nancy, you need to move to Wordpress!!!! I was on blogspot for almost a year n a half but when the number of comments on your blog increases, its time to move on. Replying to comments is a blessing there. Comon, lets have it. And your entire blog will get migrated there. You'll not need to do a thing. Blogging is therapeutic in so many ways ...makes one heave a sigh of relief to be able to jot all the thoughts in one place. Makes one 'meet' such amazing people. From such diverse backgrounds. That is the joy of blogging! Now off to read those quotes! Blogging is about jotting my feelings down straight from the heart and getting immense satisfaction in the process when I come across people who can relate with me. Its also about 'meeting' like-minded people, making new friends. Yes, like Indy said, its therapeutic in many ways. I liked Alister Cameron's quote. Blogging is fun and a passion to me. Blogging is 'reflection' of your personality. Is it? 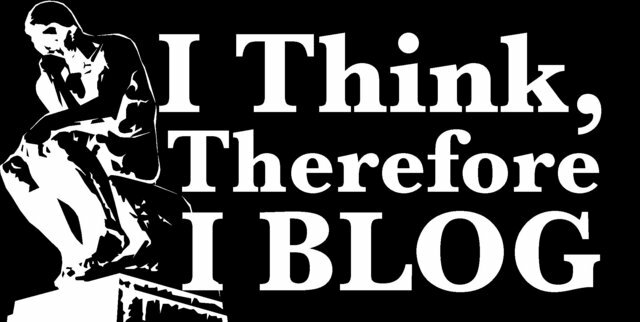 Mine is:- Blogging is simply speak what I think..check out my blog. Piper: Thank U sooo much for the lovely words:-))!!!! And thank U, will convey the hugs;-D!!!! Will check out ur blog, thank u:-)!!! "The heart of blogging is linking...linking and commenting. Connecting and communicating"
...so, i comment; u r one heck of a blogger, simply loved ur posts. Thank U Shalini, I never tire of hearing that:-D!!! !